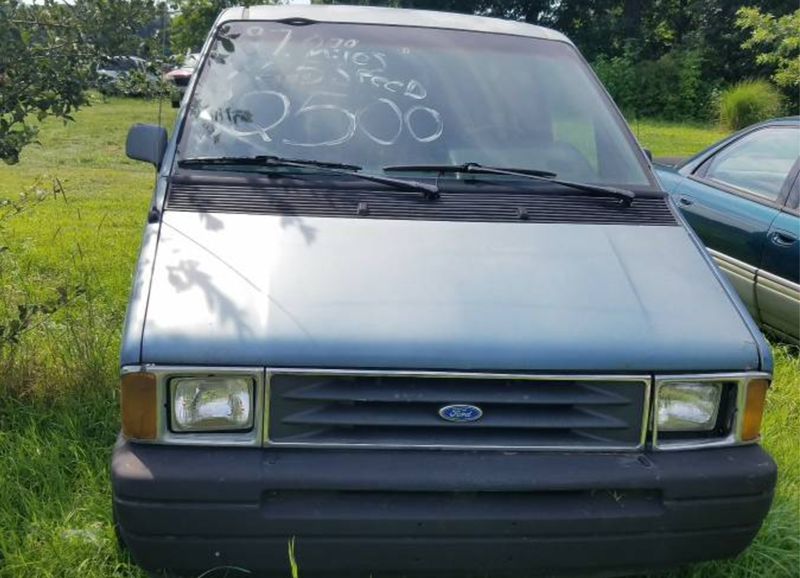 A reader named Frank sent me an email a few days ago, drawing my attention to a vehicle that I never knew I needed: a 1991 Ford Aerostar. With a stick. I’ll be honest when I say I didn’t know I could get an Aerostar with a manual transmission. I always thought the first-gen Chrysler minivans —which featured front-wheel drive and little four-bangers—were pretty much the only American minivans offered with manuals (there were plenty of imported manual vans like the amazing rear-wheel drive, mid-engine Toyota Previa, the Toyota Van, the Nissan Axxess and the VW Vanagon). But no, Frank just showed me a Craigslist post featuring the marvelous machine that is the five-speed Ford Aerostar. And, after a bit of research, now I need one. Badly. And you do, too—trust me on this one. If you had asked me two days ago what the greatest American minivan of all time was, I’d probably have told you the first-generation Dodge Caravan with the 2.5-liter turbo and the five-speed manual. Come on, a five-speed, turbocharged minivan? Those beautiful boxy good looks? What more does anyone want out of life? But now Chrysler’s legendary K-Car has some competition, because unlike it, the Aerostar powers the correct wheels, and its 3.0-liter Vulcan engine is a V6 (to be fair, it cranks out 145 horsepower, which is just about the same as Chrysler’s fiery 2.5-liter turbo). Obviously, 145 hp and 165 lb-ft of torque aren’t amazing figures, but come on, it’s a 3,400 pound minivan with rear-wheel drive and Ford’s M5OD five-speed manual—a Mazda-sourced stick that, while maybe not the heaviest-duty trans, is a hell of a lot of fun to row through, and its parts are readily available. (A version of this trans was used in the Ford Ranger, F-150, Bronco, Explorer and a whole bunch of other Fords from the ’80s to the 2000s). My point is, for sale on Craigslist only a couple of hours away from my house sits a spacious, rear-wheel drive, manual minivan with a tough-as-nails motor and a fun, relatively solid five-speed. And by god am I struggling to resist calling the seller up and just giving him my damn $1,650. Someone else please buy this. While writing this article, David Tracy realized that a few early Chevy Astro and GMC Safari vans were also equipped with five-speed manuals (the legendary Borg-Warner T5! ), which were mated to the unkillable 4.3-liter V6 (which was rated at 150 hp at the time). He has since gone down a rabbit hole searching for rear-wheel drive manual minivans. Please do not disturb him. Old Chrysler Minivans Were Cool. But Were They The Coolest?